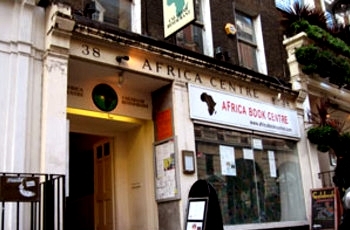 The Trustees of the charitable body that holds the freehold for the historic Africa Centre have taken the decision to sell the centre because of rising maintenance cost related to the upkeep of the historic Grade 2 listed building at 38 Covent Garden London. Currently the estimated cost of making the building good is said to be around £2million. Founded in 1962 and officially opened by the late President Kaunda of Zambia in 1964 the building was gifted to the African community by the Catholic Church. The Centre has an extremely prestigious and proud history and has been supported and visited by the likes of Bishop Desmond Tutu, President Kenneth Kaunda, Author Wole Soyinka and political activist Walter Rodney to name but a few. Influential organisation such as the Association of African and Caribbean Literature held its inaugural conference there in 1979 "How o teach Caribbean and African literature in schools" In 1980 Nelson Mandela and his fellow prisoners smuggled out a statement from the notorious South African apartheid jail on Robben Island. The statement was published at an African National Congress press conference held at the centre. With a long history of arts exhibitions, lectures, cultural events and much more the Africa Centre has remained at the centre of cultural, intellectual and artistic life of those communities whose interest in all things African. From poetry readings to Jazz nights as well as political and economic seminars the Africa centre has been at the forefront of intellectual and cultural life for over 40 years. Jazzy B's most famous funky dread nights were initially showcased at the centre prior to his success with Soul II Soul. Dotun Adebayo BBC presenter, Paul Boateng and many others attended and supported the work of the centre. An ambitious redevelopment programme launched in 2008 was undermined by the recession and made sustainable redevelopment a huge challenge. An active campaign seeking to persuade the current Trustees not to sell has sprung into life with some high profile supporters such Bishop Desmond Tutu, Mo Ibrahim and Youssou N'Dour amongst others, together with over 1,000 people who have signed the online petition to save the centre. Of course there is no doubt that the current trustees exhausted with the constant pressure of maintaining the building and beset by the usually internal bickering and factionalism that at times seems to bedevil our community have thought long and hard about their decision to sell. Having witnessed their various please for financial assistance over the years and not receiving the support they needed at that time its rather ironic that they are now being pillared for taking the action they have. We are a deeply reactive community. We failed to respond to financial appeals for help and support then decry the Trustees who have been forced by our inaction to face the financial realities. As a community we have very few real prime assets in this country and 38 Covent Garden is one of them. We need if we can to invest and preserve these cultural and financial assets. I believe that there are a range of financial models that could be developed with key investors to ensure the centers long term sustainability. Finally how many cultural assets have we seen sold in the name of economic stability, cultural sustainability? There are many examples of such sales in the African Diaspora but few indeed if any have delivered the initial promise made by those who made the sale. I would have thought a good place to start would be with the high profile opponents of the sale such as Mo Ibrahim and others who should form an investment consortium to save the centre. The problem we suffer from most acutely is the failure to be proactive. The centre could have been saved years ago and as usual a few people are left carrying the burden and when tough decisions have to be made they get the brickbats. That I understand however there must be a viable alternative and given the property markets downturn it might make better sense to explore those options whilst waiting for the market to recover. I for one would certainly actively support any attempt to keep the historic Africa Centre in 38 Convent Garden. Submitted by Chidi Nwosu (not verified) on Thu, 02/06/2011 - 20:01. This is the first time the plight of the centre has been brought to my attention. Which begs the question; in the forty odd years the centre has been open, what has been done in terms of putting the centre at the heart of African / Afro Carribean cultural activity? I agree that such an important African resource should not fall victim to the ravages of recession, but how many black people know about it? and what has been done historically in continually raising the profile of the centre? These are not criticisms, merely observations. I would like to make a donation to help keep the centre open, but the article mentions nothing on how to make a donation. Is one to assume that the ghost has already been given up? Submitted by Ade Sofola (not verified) on Thu, 09/06/2011 - 11:44. The Africa Centre had had a rich history of nurturing Africans in the diaspora and promoting African culture in the past. As Lee notes above there is a financial situation now where the current Trustees feel that their only option is to sell. I am one of those who believes that this might not be the best option for the Centre and we are keen to talk to the Trustees about possible options.